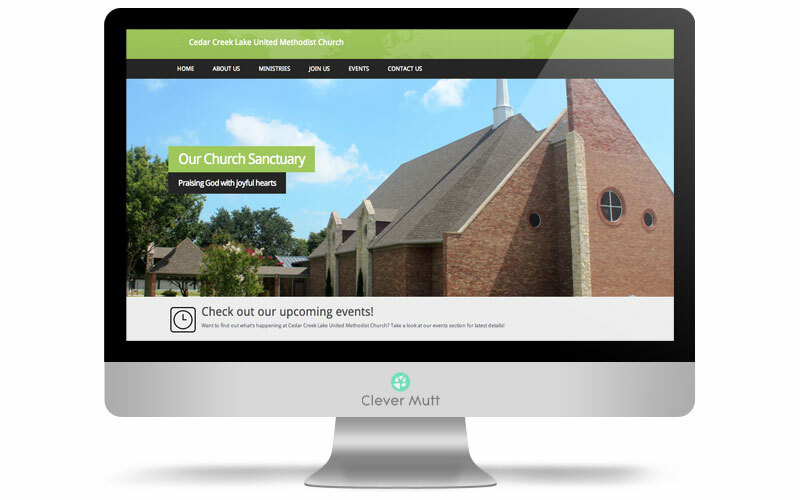 CCLUMC hired Clever Mutt™ to centralize their web & domain/hosting services, and to provide a fresh new responsive website with galleries, blog, albums, events and more functionality all powered by the Clever Mutt™ Portal web CMS. 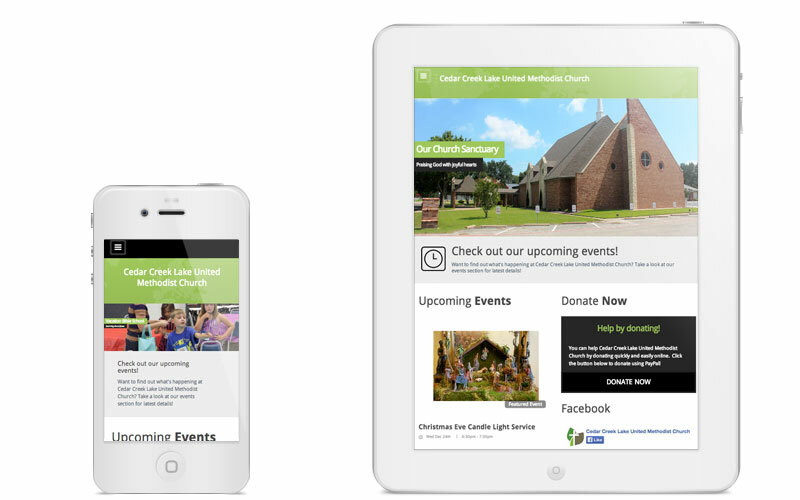 The church was formally organized in 1974 with 23 members and was named Cedar Creek Lake United Methodist Church. 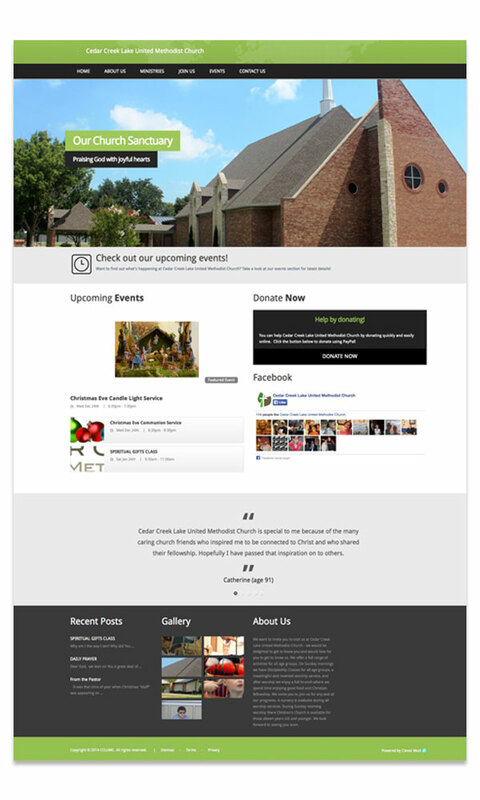 The first services were held in Tool City Hall.